"Let me tell you what’s OUTRAGEOUS. My 12 year old brother's life being destroyed by a man who was backed & supported by people in authority. A man who sexually abused my brother, continuously!! That’s what I consider OUTRAGEOUS!" Michelle Gray, sister of Celtic F.C. paedophilia victim, November 17th 2018. "This season, we’re incredibly proud to be celebrating 10 years of the global partnership with UNICEF. Together, we have reached well over 1 million children with life changing assistance in the fields of education, health and support in emergency situations". Dave King, Chairman Rangers F.C., November 27th 2018. Whilst Rangers F.C. 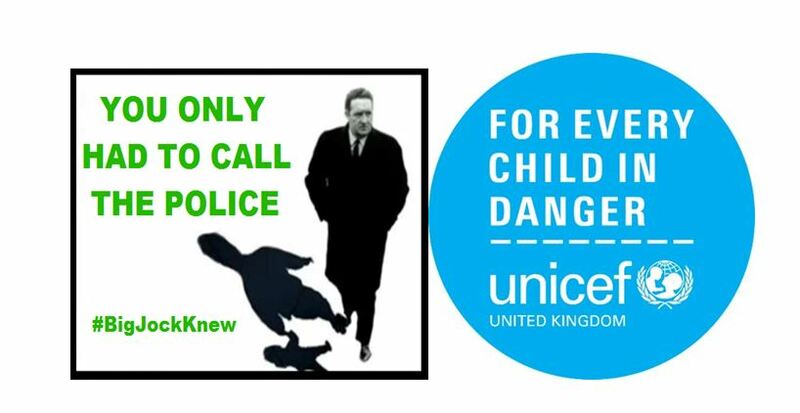 have saved children's lives, the Club Like No Other contrived and conspired to destroy them. For the avoidance of doubt Celtic F.C. are morally bankrupt.